Even with the absence of an El Nino phenomenon, hundreds of hectares of rice fields in the province are cracking due to the continued dry spell during the past four months which will eventually threaten a big reduction in the rice harvest this year. Asst. 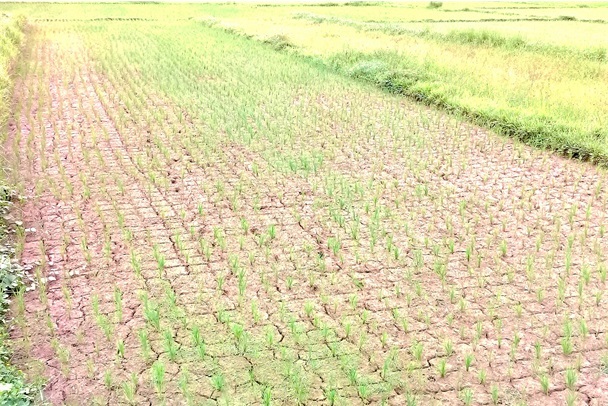 Prov’l Agriculturist Larry Pamugas confirmed to the Chronicle that rice seedlings could not be transplanted and the standing crops in the fields are going to die because the fields have already cracked due to the scarcity of water. Based on the rainfall advisory reported by the Philippine Atmospheric Geophysical and Astronomical Services Administration (PAG-ASA) last August 17, the average rainfall for May to July was below normal. The National Irrigation Administration (NIA)-Bohol also reported that for Bohol Irrigation System as of August 15, the total areas planted with rice for the second cropping (May to October 2018) are 15,653 hectares (has.) of which the 9,979 has. of these are under the reproductive stage and 5,674 hectares are under the vegetative stage, while the 404 has. are still under land preparation. Meanwhile, the water level of the irrigation systems from May to July 2018, the NIA-Bohol has recorded a decrease in the average of dam water elevation. The Malinao Dam has decreased 1.25 meters (m.), Bayongan Dam (3.95m. 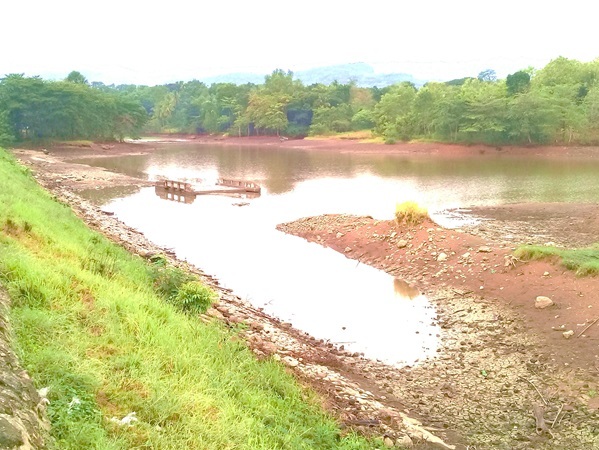 ), Capayas Dam (.79m) and 2.37 m decrease for Talibon Dam. Based on the reports of municipalities there has been abnormal condition of rainfall from May until this month and the technicians have been clamoring for water in the rice fields especially the rain-fed. The water elevations of the dams cannot suffice the needed water in the areas if there is no intervention to be undertaken against the continued dry spell, according to the TWG. The provincial government through the Office of the Provincial Agriculturist (OPA) proposed for a 42-hour cloud seeding operation in the watersheds of the four major dams and other agricultural areas. The cloud seeding operation will cost P2,339,000 for the aircraft rental, vacuum dried fine salt, cell cards for the communication of the cloud seeding technicians and cloud spotters, catering services for the workshops, coordination meetings, assessments and other expenses during the operation. Pamugas said the move to conduct the cloud seeding operations (CSOs) has developed after the Provincial Rice Technical Working Group (TWG) during their meeting last August 17 asked Gov. Edgar Chatto for the immediate conduct of the CSOs to produce artificial rain for the prevention of eventual damage to the existing agri-fishery commodities in Bohol due to the dry spell. Dr. Pamugas said the cloud seeding is urgently needed in order to save the areas planted with rice corn and high-value commercial crops from damage. The abnormal rainfall condition is taking toll on livestock and poultry due to the shortfall on their water requirements at the height of the phenomenon. The vegetation and sources of potable water are expected to dry up. It may be recalled that in 2016, the province conducted the same cloud seeding operation. Pamugas said that the request to produce artificial rain is still awaiting approval as of last Friday. Once approved, the OPA will coordinate with the Bureau of Soils and Water Management (BSWM) for the conduct of the cloud seeding in the province. A series of preparatory meetings will be conducted for the smooth implementation of the project while a Memorandum of Agreement (MOA) will be executed by both parties – the BSWM and the Aviation Company for the aircraft and crew that will perform the seeding flights during the operations. He said that as soon as all the pertinent documents needed in the CSOs will be complied with and the aircraft is available, the cloud seeding will commence and complete the 42-hour operation. It will need 700 bags of vacuum dried fine salt. The aircraft will disperse sacks of salt to the “seedable” clouds over the watersheds and other agricultural areas in Bohol.